There are some boxes that are not compatible with Kodi. To save you from accidentally buying something that you would need to return, we’ve come up with a list to help you find the best Kodi box for your wants and needs. These Kodi box reviews will help you make an informed purchase. Here we’ll show you the top Kodi devices across seven major categories. 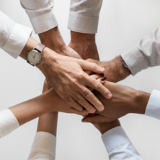 Whether you want the best overall product or best on a budget, we’ve got both covered and also reviewed everything in between. The Minix NEO U9-H provides you with an amazing home theater experience and it’s our pick for the best Kodi Box on the market. It delivers up to 60 frames of video per second, so you’ll see high quality video on your TV screen. It’s not just the crystal clear display that makes the Minix NEO great. The sound quality will make your living room feel like a movie theater. Dolby Audio makes the sounds live and vibrant. Besides the crisp picture and unmatched sound, the Minix also has an Octa Core processor, which is one of the fastest processing systems available for these devices. 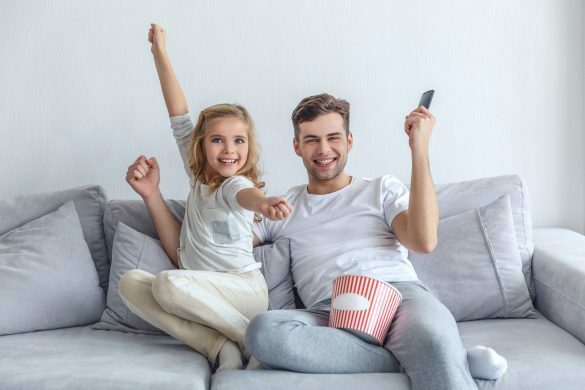 You’ll get to watch all your favorite movies, and television shows fast and easy with a smooth response time, making the Minix NEO the Best Kodi Box. It also has an innovative cooling system, so your device won’t ever overheat no matter what you’re asking it to do. The best part of the cooling system is that it’s completely silent. Noisy and annoying fans like the cooling systems for other devices won’t interrupt your viewing experience. Furthermore, it has an internal storage device so you can save your favorite programs. It also has the capability of connected to an external storage system through a micro SD card or HDD. Oh yeah, and Kodi comes pre-installed. You don’t need to worry about compatibility, because the Minix NEO is a Kodi TV box. 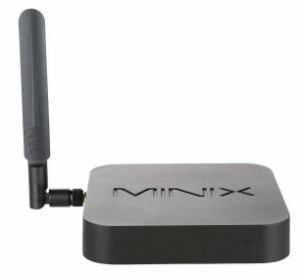 Overall, compared to other Android streaming devices, the Minix is at the top of the line. It’s made to stream television shows and movies at ultra-fast speeds. The box is easy to set up, and the fact that Kodi comes pre-loaded is a major bonus feature. The NVIDIA Shield is a top of the line Android Kodi Box. It comes with thousands of applications such as Netflix, Amazon Video, Showtime, HBO, YouTube, and Sling TV. It also comes with apps for streaming music like Pandora and Spotify. It comes with Kodi pre-loaded! You can stream virtually anything you can imagine from television shows to movies, and even live TV with the NVIDIA Shield. It also comes with voice command searching capabilities through the Google Voice platform. Rather than scrolling through the navigation screen, just say what you’re looking for. Some voice activated search systems have major problems, but not this one. The voice remote has rumble feedback and private listening, so outside noise will not interfere. The NVIDIA Shield is also perfect for Amazon Prime. You’ll get to enjoy all of your Amazon Videos in 4K HDR and watch all of their original programs. All of these features are great, but what about the picture quality? You can enjoy all of your TV shows and movies through high-definition 1080p and 4K HDR. In layman’s terms, it’s the best picture quality you can find from a streaming media player. In addition to the remote, you’ll also get a gaming controller. You’ll get seamless streaming for PC-quality games. You can enjoy games that are Android exclusive as well. To sum it up, this Android TV box review is outstanding. You’ll get to watch television shows, movies, and live sports through this box. Also, it comes with a gaming controller and pre-loaded games. Kodi comes pre-installed, which is great compared to similar products where you need to download it separately. 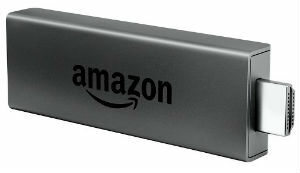 The Kodi Amazon Fire Stick is one of the most powerful media streaming devices that’s currently available on the market. It comes with Netflix, Hulu, HBO, YouTube, NBC, Watch ESPN, and Amazon Video. Plus, you can install Kodi on Amazon Fire Stick as well. There are over 15,000 applications and games on this device, so there’s something for everyone in the family, regardless of their age. Your Fire Stick also comes with Alexa, which is Amazon’s voice remote that you can use to control your television with spoken commands. For example, if you want to watch a movie on Netflix all you need to do is say, “Launch Netflix.” That’s it! It can save you some time instead of navigating through the menu to find the application. Well, you can watch all of your favorite teams play with this device. You will have access to over 140 universal live television shows. If you’re a movie buff, you can even add premium channels like HBO or Showtime without a satellite subscription. You can take it with you wherever you go and plug it into the HDMI port of any television. Just connect to the local Wi-Fi network and continue watching where you left off. The Fire Stick Kodi review is positive as well. Just add Kodi to your stick and enjoy all of those benefits as well. All in all, the Kodi Amazon Fire Stick is an easy way to watch all of your favorite shows, movies, and sports teams from one device. 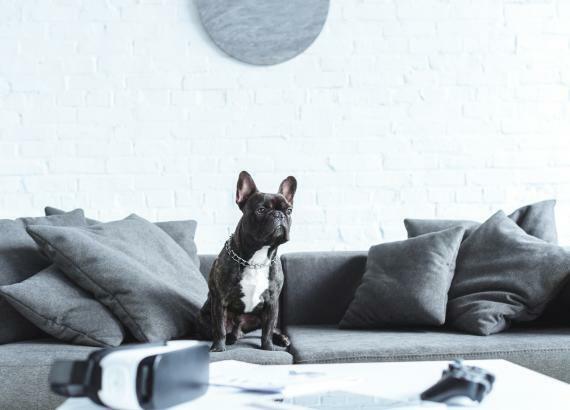 Since it’s portable, you can move it throughout the different televisions in your home throughout the day, or bring it with you on the road if you’re traveling. If you’re familiar with Amazon Fire boxes or have owned one in the past, it’s time to upgrade to the best streaming media player. The Amazon Fire TV Box has 75% more processing power than the earlier generation models. It has better Wi-Fi support and an upgraded graphics engine as well. So, what’s all of this mean? Your entire viewing experience gets enhanced with this product. Higher processing power translates to faster streaming and less leg time. The new graphics engine supports 1080p streaming and 4K HD, which brings the images and video on your screen to life. If you don’t have a satellite subscription and want to watch live sports – no problem! You’ll have access to the games from all your favorite sports teams with Kodi streaming. However, you’ll need to install Kodi separately, since it doesn’t come pre-loaded. If so, you’ll get additional movies, shows, and games on your Amazon Fire TV box at no additional cost. You can even access HBO and Showtime with this subscription. The customizable home screen lets you program your favorite apps to an area where you can easily find them. You don’t need to waste time searching since you know exactly where they are. There are over 15,000 apps on the Fire TV box, including original games. If you’re a gamer at heart, you’ll love the readily available gaming features. 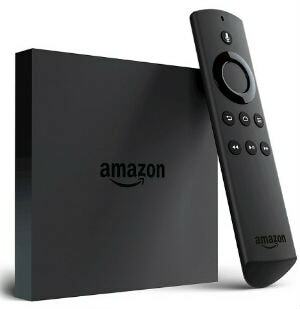 Overall, the Amazon Fire TV Box is a great way to enjoy live television shows. You’ll have access to movies, games, and music as well. Although it doesn’t come with Kodi, you can it’s compatible, and you can just install it yourself. It’s a great addition to your family’s living room. If you’re worried about finding a streaming media player and Kodi television that’s compatible with your current TV, then worry no more. The Element Smart TV has the streaming capabilities built directly into it! You don’t need to worry or fuss about making sure you have the write ports, wires, connections, or devices. Your Element TV has everything you need pre-loaded. The Android TV Browser remote control gives you access to all of the features, including over 15,000 channels and applications. It has a voice remote with Alexa, so you can speak your commands to locate whatever you want to watch, rather than searching through the navigation menu. You’ll be able to stop, rewind, fast forward, and record with the live TV playback features. Let’s get to the actual TV functions of the Element. It has over 8 million pixels to provide vibrant colors, stunning contrast, and outstanding clarity. Yes, you heard that right – 8 million pixels! There is also plenty of input and output options based that comes with your TV. There are 4 HDMI slots so you can connect other devices and gaming systems if you choose. It also has an Ethernet cable so you can have a direct-wired source of Internet, which is more reliable than a Wi-Fi connection. You’ll get Netflix, HBO, Showtime, Starz, and Hulu apps pre-loaded on your Element television. If you want to use Kodi, you can easily install that application as well. 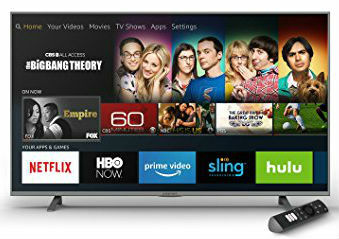 If you want a new television that’s also a streaming media player, the Element Smart TV is something you may want to consider. 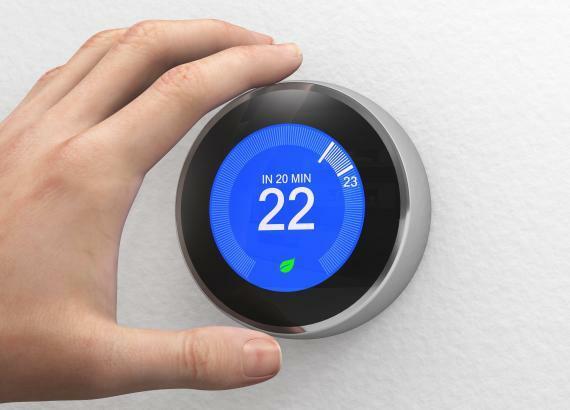 It’s a great addition to any room in the house and comes with nearly everything you need pre-installed. The picture quality is outstanding, and streaming is super fast. The A Box Kodi player is built for speed and it’s our pick for the most affordable Kodi Box on the market. It has a Quad Core CPU S905X chip to ensure that you’re streaming is seamless and processes all your data on command. It has new decoding technology that uses fewer band resources but has better image quality. So you’ll get to enjoy 4K and HDR10 high definition videos. Your package comes with a remote, HDMI cable, and adapter included without any extra cost. The set up is fast and easy for people with all technical skill levels. Simply plug it in by connecting through your TV’s HDMI port, and you’ll be up and running within one minute. Are you worried about getting a device that will have problems shortly after your purchase? The A Box comes with a one-year warranty, so if you’re covered if you have any problems within the first 365 days of your purchase. They have a reliable technical support team. Compared to other Android boxes, this one has an outstanding value for all the features. One of the best benefits is that Kodi comes pre-installed. You don’t need to search for download instructions and spend time finding a compatible Kodi version. The operating system is Android 6.0 Marshmallow, and it has a LAN Ethernet up to 100M. It also costs two high-speed USB ports including USB DISK and USB HDD. Basically, all of these technical terms translate into fast streaming speeds for all of your television shows and movies. 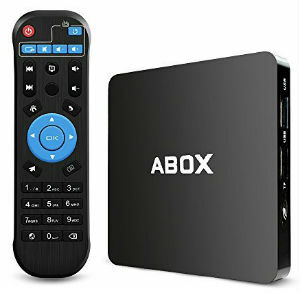 Overall, the A box is top choice to consider for Android streaming players. It’s super easy to install and set up. Plus, it comes with all of the cables and adapters that you need, without an additional purchase cost. The high-speed capabilities won’t cause lag time during your streaming. Although it doesn’t come included, you can download and install Kodi for Raspberry Pi. Raspberry Pi for Kodi is compatible, reliable, and easy to use. But the Raspberry Pi can do so much more. The Quad-Core 1.2 GHz and 1 GB of RAM ensure that your streaming experience will always be fast. It also comes with a pre-loaded micro SD card. You’ll get a 6-foot HDMI cord with your purchase as well, which gives you plenty of room to connect the device to your TV. It also comes with two heat sinks. The start guide makes it easy for you to set up and navigate through your system. All the instructions are simple and easy to follow. It also has a unique noise filter to drown out the cooling system. 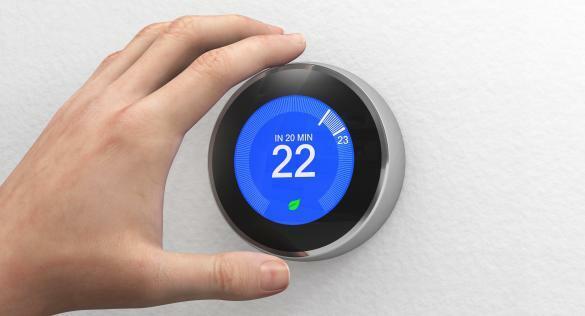 There’s no need to worry about the cooling system interfering with your viewing experience. The large memory card storage lets you save movies, shows, and more directly to your device. It’s a lightweight and portable device. You can move it to different televisions throughout your home or bring it with you to a friend’s house to stream on the road. Furthermore, it comes with a carrying case, so you don’t need to worry about it getting damaged or breaking during transportation. It also has Bluetooth connection capabilities in addition to the Wi-Fi connection. 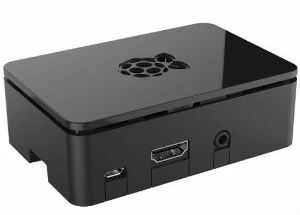 Simply put, the Raspberry Pi is a top-selling streaming option that you can consider installing Kodi on. The processing system and memory storage translate to streaming at high speeds for the ultimate user satisfaction. ​One of the key features to look for in a Kodi box is speed. The processing power and Internet connection will determine the speed of your box. If you compare Ethernet connection to Wi-Fi connection, the wired Ethernet speed is faster. So if you’re looking for the best Ethernet options, try looking at the A Box or the Element Smart TV. Furthermore, you’ll want to make sure that you’re Kodi box has good video quality. 1080p is the standard pixel resolution for full high definition picture. When it comes to streaming, you’ll want 1080p quality to make sure the video is not pixelated. The NVIDIA Shield and Amazon Fire Box both have 1080p quality streaming. You may want to consider those options when looking for a Kodi box. Besides picture, you’ll also want a box that outputs great sound. The Minix NEO has Dolby Digital audio, which is top of the line in the industry. Look for bonus features as well. Some products come with accessories like an HDMI cable, remote, or, gaming controller as part of your package. Purchasing those items separately can add up quick, so it’s more cost effective to find Kodi boxes that come with those included. The NVIDIA Shield comes with a gaming controller and a remote controller. Switch between the two controllers depending on if you’re watching TV or playing a game. If you want an HDMI cord, you may consider the Raspberry Pi. It comes with a 6-foot HDMI cord in the package. You’ll also want access to lots of applications such as Hulu, Netflix, YouTube, HBO, Showtime and more. Nearly all of the boxes on our list come with thousands of applications preloaded on the box. Simply put, Kodi is a streaming application. You can find a box that is pre-loaded with Kodi or install it yourself with onto a compatible system through an Internet download. People with Android devices can even find Kodi on the Google Play Store. With Kodi, you can stream movies, television shows, and even access computer files and pictures. You will need an active and strong Internet connection to use Kodi. So make sure whatever device you install it on can connect via Ethernet cord or Wi-Fi to get a connection. Basically, it’s an entertainment hub that has all of your media needs in one location. In addition to television and movies, you can also play music in mp3, Flac, wav, and WMA formats. Organize your music by playlists or tags to optimize your personal preferences. All of the streaming comes from files on the Internet. So if there is a movie that you want to watch, Kodi will access the shared Internet file and stream it directly your device through the box or TV. Since there are no app store restrictions, you can download community applications that you would not have access to on the app store from your regular computer, smartphone, or tablet. The most important aspect of using a working Kodi version is finding a compatible device. That’s the biggest problem that users face when trying to use Kodi. Fortunately, if you refer to the list of products in this article, you’ll see that all of them are compatible with versions of Kodi. You can watch live television with Kodi. If you’re not around or available when your favorite shows are on, you can record them with the PVR feature. One of the first things you’ll need to use Kodi is compatible remote control. All of the Kodi boxes on our list above come with a remote in the package. You can also use applications on your smartphone or tablet to control Kodi as well. Once you setup Kodi on a box and have a working remote, you’ll want to start customizing your Add-Ons. Some of these add-ons include SoundCloud, Pluto.TV, PS Vue, and Plex. You can even find ones that are channel specific such as HGTV and the Travel Channel. If you want a custom feature for your Kodi but don’t know where to start, you can try searching add-ons by category. Search by music, picture, plugins, libraries, modules, subtitles, video, weather, games, context menus, and more! You can also customize your Kodi with different skins, which allow you to really express yourself and personality. Skins are basically the background and screensaver for your Kodi that get used as a purely aesthetic menu display. It’s recommended that you use a virtual private network (VPN) while you use Kodi. It’s the most secure way to navigate without risking your data exposure to hackers. Once you have Kodi setup, you can watch television, movies, and live sports whenever you want. The operating system is easy to use, and you won’t have any trouble navigating the menu from app to app. The first step to using Kodi on your Amazon Fire Stick is to plug the stick into the HDMI port of your television and turn it on. Access the home screen of your Fire Stick’s “Settings” menu. Select and click “System” with your remote control. Get the “Downloader” application, under the “Top Free” section of the home menu. Once the app downloads, you can enter the URL for the version of Kodi that you want to install on your stick. You can find this URL online through an Internet search for the latest compatible version. After Kodi downloads, you can install it to the Amazon Fire Stick and access it the same way you would any other pre-loaded application. From here you’ll have full access to all the Kodi features and benefits. Using this method is the fastest and easiest way to get Kodi on your Amazon Fire Stick. So, what’s the best Kodi Box of 2018? If you end up purchasing one of the products on our list, you’ll be happy with your ability to effectively use Kodi with a compatible device. That being said, the Minix NEO is the clear winner. The best part about the Minix NEO is all of the silent cooling system. It won’t overheat no matter how many programs you run on it. Furthermore, the Minix NEO also comes with Kodi already installed. You don’t have to worry about finding a compatible version since the streaming player already has one. It also has a storage system so you can save all your favorite shows and movies directly on the device. The Minix NEO is also fast and has top of the line picture quality, which are arguably the most important features of a Kodi box. Now that you’ve been fully educated on how a Kodi box works and the top features to consider, you can make an informed purchase from our list based on your personal preferences.